Filmed by Bike only happens once a year – so make the most of it! 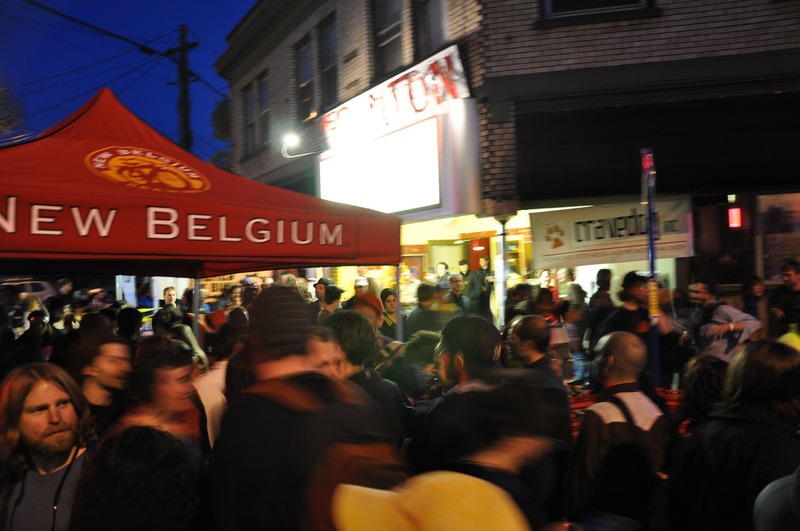 The New Belgium Opening Night Street Party isn’t for everyone, but if you like a raucous affair and drinking in the street, we think you’ll have a good ole time with us. We’ve worked really hard to put on a great party for you. Tip #1: Get your tickets in advance. That way you’ll be all set to come hang out, without the hassle of waiting in the ticketing line. There may be a modest line to get into the theater, but once the doors open that line will move lightning quick. Tip #2: Go to the 11pm screening. You don’t want to miss any of the action at the Street Party, so wait until it’s over to go in and see the movies. Tip #3: Bring your dollars! Even if you’re not going inside, you can still buy raffle tickets for the super cool Felt cruiser from New Belgium. Roll into summer in retro style! Tip #4: CASH ONLY! Bring your dollars.